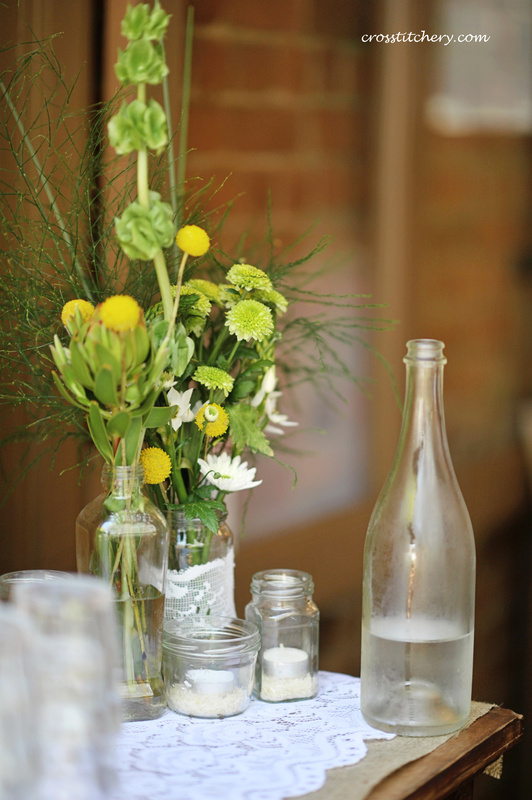 Mr A & I did a lot of our wedding ourselves, including sourcing, and styling the flowers. 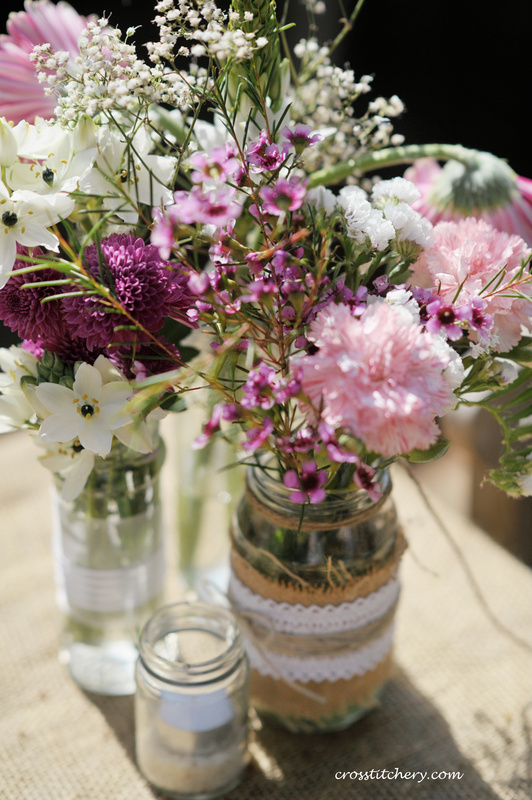 Mason jars are very popular, which makes sense because they can be styled to suit any event. 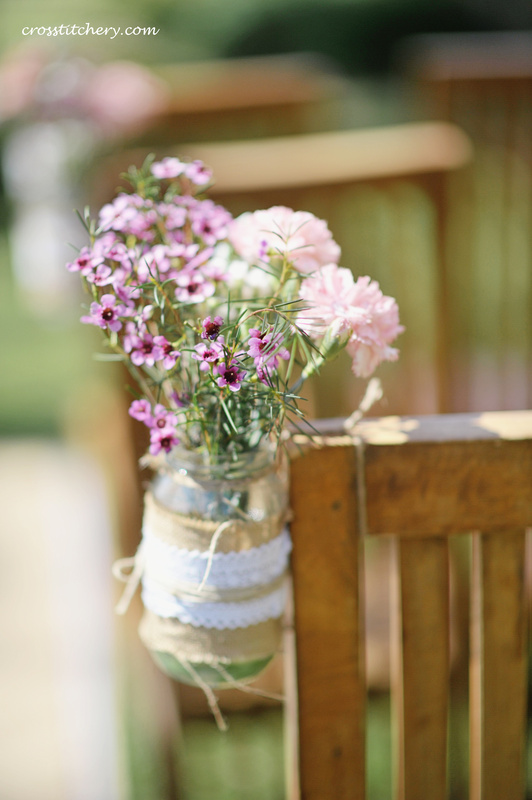 They’re simple, inexpensive, and can be tarted up or down for any requirement. 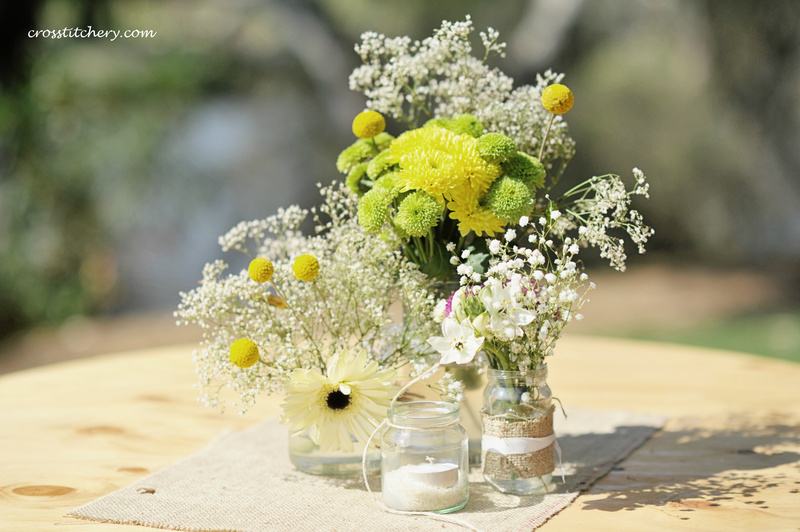 I decorated mason jars with hessian, lace and ribbon and used these jars to hold our table centrepieces which were a mix match of all different types of flowers; different textures, colours and heights from local wholesalers in Perth, Western Australia. Some of the jars I left plain, because we literally had mason jars everywhere. Whether they held flowers, or simply had tea light candles in them for later on in the night, they all looked fantastic. 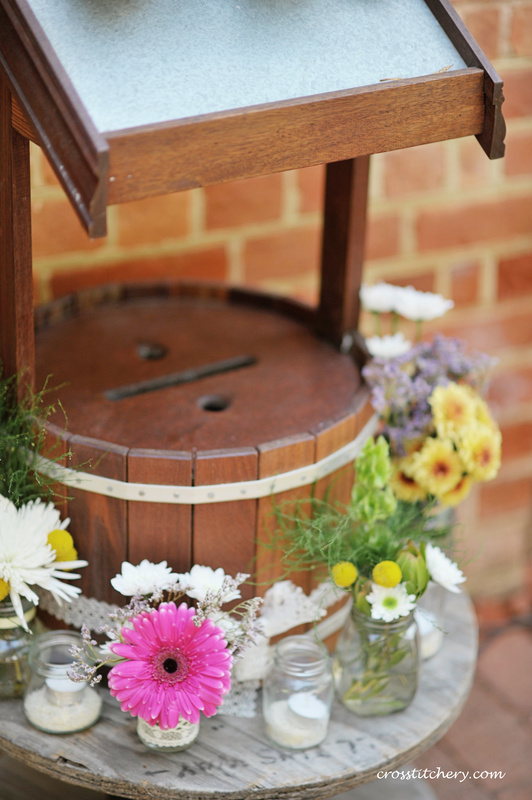 Here’s a few photos which might give you some inspiration for your own wedding or event. These worked perfectly for our wedding theme and style wise, as they were relaxed, casual, with touches of DIY which is a great reflection of our day. 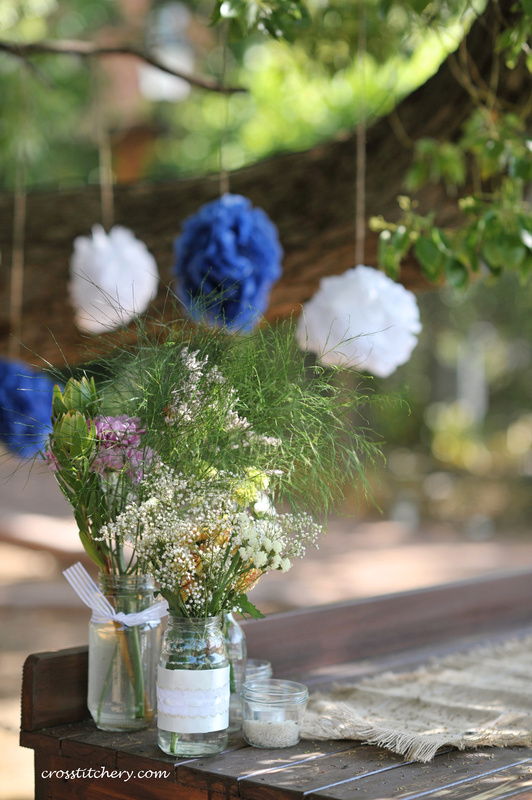 « Wedding DIY #2 – Bunting! So pretty :) They are relaxing even to look at. I agree, they are so great for all types of styling .. A perfect addition to suit anyone’s taste I think. 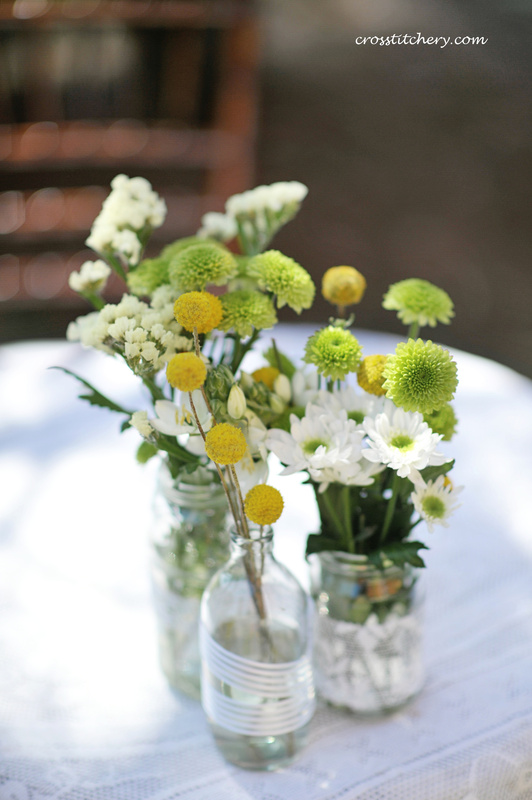 Pingback: DIY Flower Styling for Wedding | crosstitchery. Thank you – there’s something beautiful in the simplicity of the idea I think..